You’ll surely want to go through the list and decide what can continue and what should be eliminated. For example, the kids doing homework at the bar or taking phone messages at the kitchen counter might not make the cut. 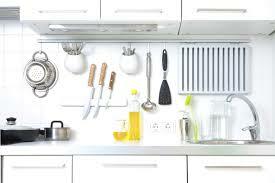 Eliminate those things that are out of place and the flow of your kitchen life will improve. 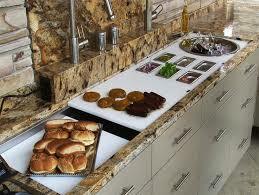 To organize your kitchen you have to control the natural flow of traffic. This means eliminating the unnecessary. 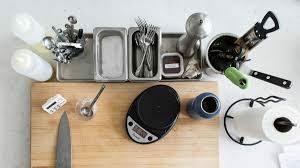 Take all the areas that are left and figure out the best spot in the kitchen for each of them to happen. Now that you have the list narrowed to activities that should be done in the kitchen, it is time to set up the workstations for each of them. Look at the kitchen with an eye towards where these things would best fit. 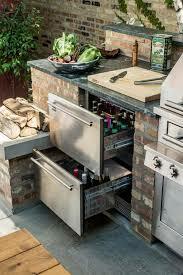 Perhaps your leftover storage should be done close to the fridge because they ultimately go inside. Microwaving things might make sense across the room and out of the way of the cook so that kids/husbands can come in and make a quick snack without getting in the way. Consider the way you live your life through the kitchen and plan the workstations for each task. Now it is simply about gathering up the things you need to do each task. Use carts, cabinets, plastic containers or bins to gather this stuff in one spot and keep it stored close by. By having everything you need in one place nearby, you can be quick and efficient about completing your kitchen tasks. This also helps you to store things in such a way that they are not all on top of one another. A cluttered drawer or cabinet is not going to be productive. Why not have everything right there? 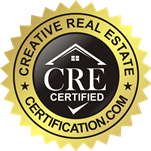 No good organizational plan is complete without a house wide commitment to keeping it that way. Nobody can slip on this or they need to feel your wrath! Be strong and make sure everyone pitches in towards building this important habit. It will pay off big dividends in space and time management in the kitchen!